Are you looking for a quick paranormal read that won’t leave you too afraid to turn the lights off at night? 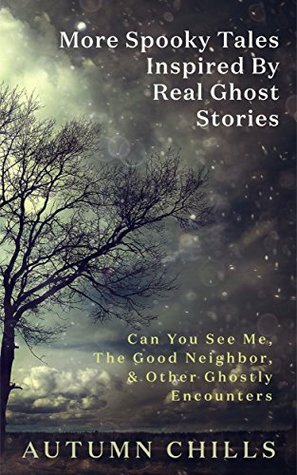 Check out author Autumn Chills’ anthology featuring an assortment of spirits that are as friendly as Casper, as benevolent as angels, and as heart-warming as a hug. This short story collection includes tales of otherworldly beings such as a mischievous prankster at a movie theater, a beloved grandmother who gives romantic advice from beyond, and an unseen housekeeper who loves to take care of her home’s new inhabitants. Unlike many other books in this genre, these stories are all family-friendly and I would recommend this 5- star collection to paranormal fans of all ages, or simply to anyone seeking a condensed, uplifting read. Thank you Janice! I hope you enjoy it.